Whether you are a first-time family, or a season camp veteran, we are excited to welcome you to another amazing summer in North Shore Day Camp! To get your camper(s) ready, please log into your CampInTouch account. If you don’t know your username and/or password, send us an email and we will talk you through it. 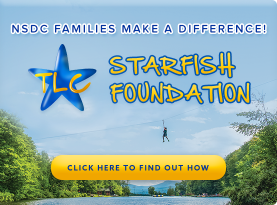 The Family Dashboard has been designed specifically with you in mind, and provides you with all the information you will need to make your family’s summer at NSDC a success. From Camp Forms, Calendars, Menu, and social media links, we aim to keep you up to date with everything NSDC in the easiest way possible – by having it all in one place. As Camp approaches we will begin to send out our ‘Parent Pack emails’ to help you get ready, so please keep an eye out for these. We also share lots of exciting news on our Facebook Page, and Instagram accounts. Be sure to Like & Follow us to keep up-to-date on EVERYTHING North Shore Day Camp. Please feel free to contact us at any time at 516-676-0904.